This skin is purchasable at a DAF dealer. Ability to change the colors of the mod directly to the daf dealer. If you want you can create the same to others trucks marks ? 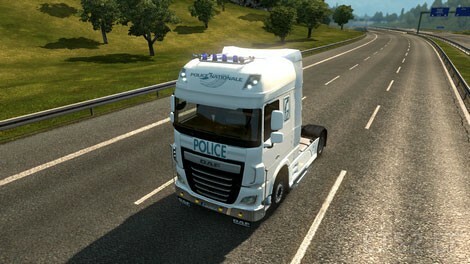 Renault Truck + French Police = good idea no ? Hey spartacus33 ! Thanks for your comment ! I think I’ll create the same skin for others trucks marks, and I’ll create others skins (ex: ambulance, exeptional convoy, etc..) !